Update: Great Success! I can now upload photos from my blackberry directly to my blog. I will use this for liveblogging tomorrow. 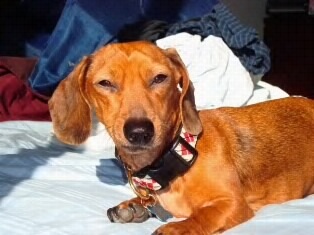 And yes, this is Chana, my five year-old Dachshund. She is adorable. And I will not approve any comments to the contrary.